Come Watch Oppo Community Members Race the 24 Hours of Le Mans in Forza 6! Well today is the big day! 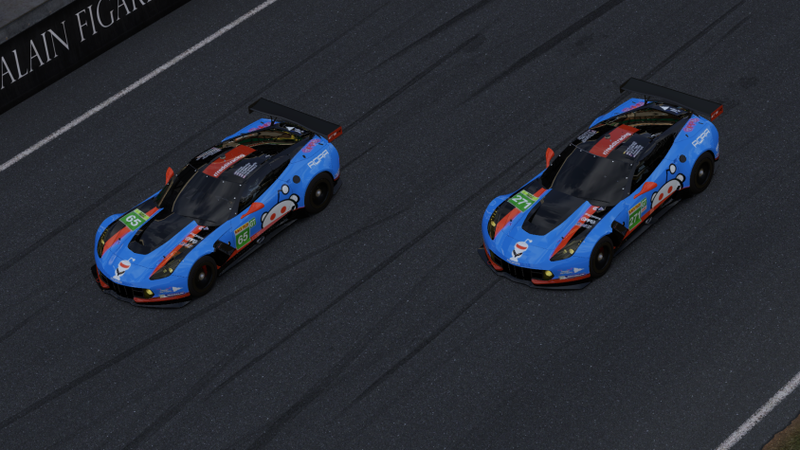 The five members of the Oppositelock online racing community who have joined up with Reddit Online Racing Association, will be racing throughout today, tonight, and tomorrow morning in The Online Racing Association’s TEC 24 Hours of Le Mans. Following qualifying yesterday, the cars are set for a good outing. The #84 Porsche 919 Hybrid, with Oppo member and creator of many of our racing series, Corey CC97, will be starting in sixth place in the A Lobby. The #65 Corvette C7.R, with Oppo members TheCowmaster and Mr. Plankton are on GT pole position in B Lobby! Good job guys! The surprising result was the #271 ‘Team Slow’ Corvette C7.R beating out the full season car to an eighth place in GT in the A Lobby. Oppo member SVTyler, along with Reddit Racer Dr. Chair PHD, set blistering lap times to get the car there. As the Amateur driver (of the two Ams) from Oppo on ‘Team Slow’ it’s my (Viggen) job to race cleanly and bring the car home at the end of a stint. Some, if not all, of us will be streaming our stints on Twitch. If you’d like to watch, be sure to check out the streams below!